This is a question that we get asked quite often. 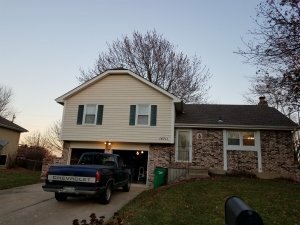 So we took a look at all the houses we have bought over the years to come up with a list of houses that we typically buy. This is a common theme with all the houses we purchase, but not always, we have purchased a few that were move in ready. But for the most part, the homes we buy need a little bit of love and some times a whole lot of updating and repairs. Note that the need for repair is common because of the situation the seller finds themselves in and not the reason why the house is for sale, however the seller calls us because they know we buy fixer-upper houses, without the seller needing to make any repairs or take care of any buyer inspection items and because selling now is their most important issue at the time. So what situations have we purchased homes? The number one reason why we get called to buy a house is because the owner passed away. We get many children calling us on their family home or a person calling us because their sibling passed and sometimes because their ex-spouse passed. In this situation, we often find that the person that passed had owned the home for a long time and the house is full of stuff. We also find that the person was either elderly or in ill health or both and that the day to day upkeep on the home was ignored either because the person was not physically able or financially able to make repairs. We also find that these properties are often stuck in a totally different era . . . we see many pristine kitchens from the 50’s, 70’s, 80’s and 90’s. They were in almost brand new condition, very outdated. In this situation, our sellers will often go through the house and the stuff and take what they want and leave the rest. One word of caution here though, one of our sellers started going through stuff and seemed to find money or bank / stock statements in every drawer and box. So before you decide to sell a house with all the stuff as is, you may want to go through the stuff. In this case, the house is often very much like the last situation, but the owner is aging. The family is helping their loved one move to a smaller house, in with them, or into an assisted living or other care facilities. Again, we can buy this house as is and with all the stuff. We often find that the owner goes through and takes some basic furniture pieces and clothing and mementos and leaves the rest for us. 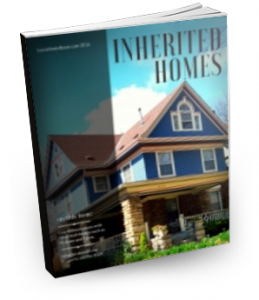 We have purchased numerous inherited houses. Here we find that Mom or Dad passed away 3 or 4 years ago and the kids moved in. However, the kids find that they are just too uncomfortable living in Mom or Dads house. Or possibly they just are not financially capable of maintaining Mom or Dad’s house. 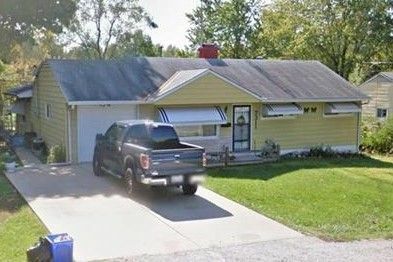 One seller thought it was an awesome idea to move into mom’s house on the golf course. It was owned free and clear, so no mortgage to pay. However, they were not financially able to pay the Home Owner Association Dues or the Taxes and when they called us they were just a few days short of the home being sold for back taxes and they didn’t even have enough money to pay to move. We were able to get them some cash up front so they could put money down on a new rental and rent a moving van so they could move out, and then we closed a few days later getting them some money out of moms free and clear house. Here we have two situations. Sometimes in some areas where houses are flat out sold to pay back taxes, we will often have the homeowner reach out to us to buy the home before the sale. This way they can move out on their own terms and get some cash up front. We see this in Kansas City Missouri especially as they don’t have a tax lien program, but rather just sell the house at a tax foreclosure sale after 4 years of unpaid taxes. In other situations, where the county has a tax lien program, we have sellers call us before the lien goes into place. With the tax lien, some third party steps in and pays the taxes. If the home owner wants to save their house they have to then pay not only the taxes but a full years interest on those taxes or eventually the home will be sold to pay the tax lien holder. Either way in a tax lien or a tax deed situation, the owner calls us before all of this happens so they don’t hassle of the situation and so they can get the most money out of the house. 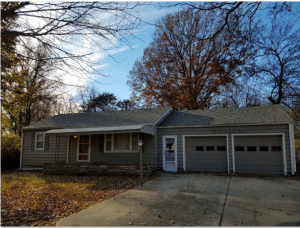 We don’t see this one very often because, well most sellers in foreclosure either take the time to list it with a Realtor and get it sold before they are foreclosed or they just ignore the situation. But a few people do reach out to us in this situation and we do our best to help. If they owe more on the house that it is worth, we can work with the lender to negotiate a short sale and other times, they don’t owe so much and can just sell it out right and get their cash out of the home, rather than letting the bank foreclose and kick them out. Most of our properties owned by Accidental Landlords are a case of someone owning rental property, passing away and leaving it to heirs to deal with or heirs who decide to rent out an inherited property rather than sell it. Either way, they find out that being a landlord is not for them and they call us to buy the house, houses or multi-family property. A word of caution here, if you are not a landlord and you have no idea how to be a landlord, please think long and hard about taking on rental property. If you do take it on, seek a professional property management company for help. We see time and again that an estate that holds multiple rental properties that were managed by the owner are turned over to the trustee to manage. In one case the trustee was given, 25 cash flowing rental property to manage. He had no idea what he was doing, but to save the estate money, he managed the properties himself rather than hire a manager. 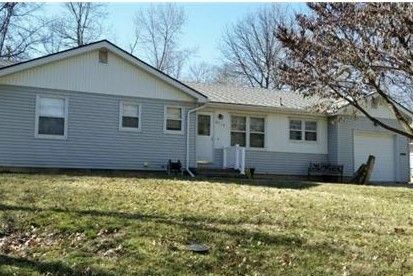 He had a package of properties that had a fairly significant value due to the rents coming in. He also was trying to sell them but asking too much for them. Over the two year period of time, he took 25 cash flowing rental properties that had value as rental property to 23 vacant properties that went vacant and got vandalized and dropped significantly in value and 2 with non-paying tenants. He lost the estate somewhere around $100,000. So if you find yourself an accidental landlord, please call us sooner rather than later. We can help you find a good property manager and help you get the homes sold quickly . . . even at a fast sale discount price, you will be better off. We have purchased a few houses from people in divorce. Neither can keep the house or wants to keep the house, they want to sell it quickly and split the proceeds. Now in this situation, we always want to know, just how fast you want to sell. If you can take the time to list the home and sell it, you will make a better return. So while we would love to make you a quick close cash offer, we might refer you to one of our many Realtor friends to get the home sold, just a bit slower, but for much more money. We have also purchased a few from people who were just moving, they were either getting a larger or smaller home, locally or moving to a Tiny Home on the Beach in Florida. Either way, they had plans and they needed to sell to get on with their lives. They didn’t want the time and hassle of listing and having people walking through their home and looking at their stuff. They didn’t want the expense of making inspection repairs. They just wanted their home sold on such and such a date for a specific amount so they could plan their move and go. So if you find yourself in any of these situations or maybe something else and you just need to sell your home quickly, click here to share your information with us. We can discuss your situation, take a look at the property (properties), and make you an offer.